You may think that your colleagues’ apparent unhappiness is nothing more than moodiness, without realising they could be displaying signs of a mental illness. Depression in the South African workplace is on the increase, with many employees continuing to attempt their daily duties while battling the debilitating symptoms of the illness. A recent study of workplace depression conducted by the South African Depression and Anxiety Group (Sadag) – done by means of a survey and then answered by a total of 1 000 employees and managers from across the country – revealed that one in four South African employees has been diagnosed with depression by a medical practitioner. According to the survey results, the condition is more common in female employees than in males, mostly affecting employees between the ages of 25 to 44. While 85% of the survey respondents said they had continued to work during their last depressive episode, more than half said they had taken an average of 18 days off work per year due to the condition, with 32% admitting that they did not reveal their reason for taking leave to their employers. The symptoms which contributed the most to taking time off were sadness, low mood, loss of interest in daily activities, sleeping problems and trouble concentrating. According to SADAG, common cognitive symptoms of depression which could affect employees include being easily distracted, having poor memory, indecisiveness, slower thinking speed, difficulties in problem-solving and negative or distorted thinking patterns. Of those who took part in the survey, employees who experienced cognitive symptoms rated their work performance with depression as worse off than those with depression who did not experience cognitive symptoms. Workers with cognitive symptoms were also more likely to have taken time off for their depression. 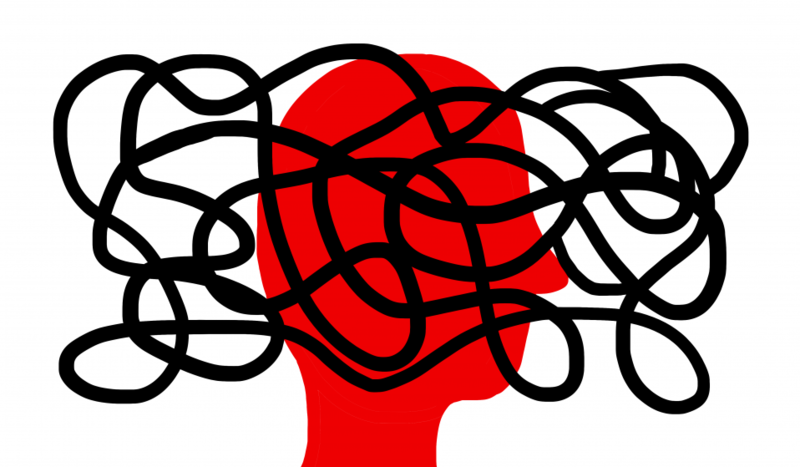 This, SADAG operations director Cassey Chambers said, suggests that people who find their thinking more affected by the condition feel more incompetent at work than those who struggle more with a low mood or feelings of helplessness. Chambers added that these findings highlight the issues of absenteeism in the workplace, as well as continuing to work while ill, which then impacts severely on workplace productivity. “Depression affects cognitive functioning such as decision making, concentration, memory and problem solving abilities and negatively impacts productivity,” psychiatrist and clinical psychologist Dr Frans Korb said. Psychologist Jeremy Bayer agreed with this, adding that a depressed employee will be less likely to reach the necessary targets or properly interact with colleagues. He said depression was mostly caused by work stress or personal issues such as past trauma or sexual issues. “Because of that, the employee may not want to go to work at all because they have no drive or desire to do so. Their performance will be adversely affected. When it gets to that stage then the depression has to be addressed. “I think one has to address the root cause of it. If its anxiety from work stress which is maybe caused by a manager, then it’s a good idea to address it with that person. That’s why employee wellness is so important. Many companies don’t offer it and the staff really need it,” he said. Chambers stressed the importance of reviewing how the condition is dealt with in the workplace. Bayer said treatment may include therapy and antidepressants. He also suggested finding a hobby while undergoing therapy and treatment to help to ease the depressive symptoms. Exploring creative ways to support an employee’s recovery such as flexible or adjusted working hours or the freedom of working from home for a while. But just how many depressed people seek treatment? In a story which appeared in the Daily Dispatch last year, Pharma Dynamics spokeswoman Mariska van Aswegen, whose pharmaceutical company is one of the leading anti-depressant medication providers in the country, said South Africans consumed 56% more antidepressants than they did a mere five years ago. Van Aswegen identifies excessive junk food consumption, consumerism, chronic disease, psychological issues, lack of physical exercise and ignorance as the cause. “A team of researchers from the University College London discovered that people who regularly eat dessert, fried food, processed meat, refined grains and high-fat dairy are 58% more likely to be clinically depressed,” she said. Sadag founder Zane Wilson, who experienced workplace depression first hand, said the condition needed to be taken in a more serious light by all employers. “My battle with mental illness began at the height of my career. Anyone who does not view depression as threatening to productivity, at least as much so as other physical illnesses, probably has not experienced the severe lows caused by the condition.